OnePlus has announced something of a surprise today just in time for the holiday season. The brand has introduced a case for the Apple iPhone 6 andiPhone 6s that comes in its popular ‘Sandstone Black’ finish. With the Sandstone-finish case for the iPhone, the company wants to show Apple fans what they’re missing. OnePlus wants Apple users to feel the Sandstone texture of its flagship smartphones – the OnePlus One and 2. In addition, the brand apparently also wants them to buy its phones, since every Sandstone case for the iPhone comes bundled with a OnePlus X invite. 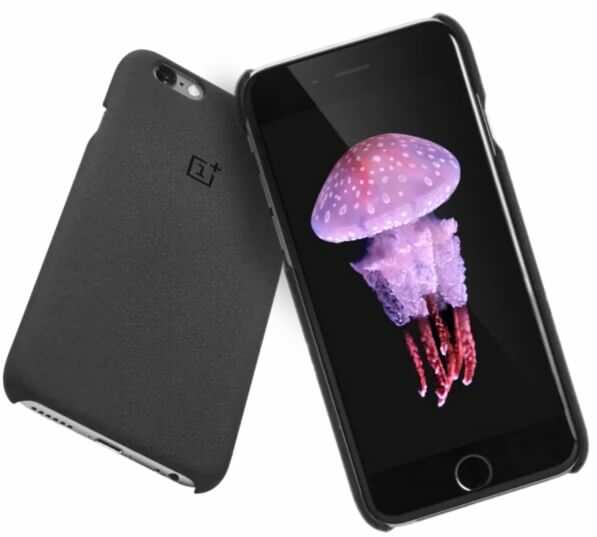 The simple clip-on hard case features the OnePlus logo at the back and “Get a grip. #NeverSettle” message on the side. The Sandstone Black iPhone case has been priced at $19,99 (roughly Rs 1,330), and will be available in limited quantities. If you’re lucky, the invite will even let you grab the limited edition ceramic OnePlus X. In addition, a small number of cases will ship with a code to get the OnePlus X for free.